Johnson & Johnson says govt’s compensation formula for ‘faulty’ hip implants is ‘absolutely one-sided’. Centre rushes to Supreme Court. 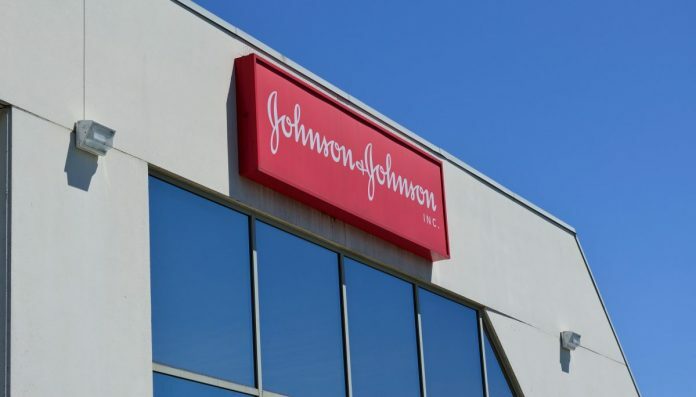 New Delhi: US pharmaceutical giant Johnson & Johnson has approached the Delhi High Court, challenging the Modi government’s compensation formula for patients suffering from the firm’s ‘faulty’ hip implants. In its petition filed in the high court last week, accessed by ThePrint, the pharmaceutical major has termed the actions of the Indian government as being “absolutely one-sided” and “liable to be rejected”. Johnson & Johnson had sold in India, through a subsidiary, the faulty Articular Surface Replacement (ASR) hip implants that it recalled globally in 2010. Around 4,700 surgeries in India had been conducted using the faulty systems between 2004, when it began to import the device, and 2010. The American firm is also in the eye of a global storm over allegations that it used cancer-causing asbestos in its baby powder. Johnson & Johnson has told the court that the Modi government has calculated monetary compensation in a “clandestine” manner. “The compensation formula contained is derived from legislation that is not the law as on date,” the petition reads. The company has repeatedly emphasised that Indian rules do not contain any compensation provision. Johnson & Johnson is also upset by the government’s move of issuing a press release announcing the compensation formula. It says that the press release and letter (which was sent to Johnson & Johnson to inform it of the newly-devised formula) “have no legal or statutory sanction or basis”. “In issuing the impugned press release and the letter granting compensation, the respondents are over-stepping their jurisdiction which is illegal per se…,” the petition reads. The petition is a setback for the Central government, which had set the compensation between Rs 30 lakh and Rs 1.20 crore. The Centre has now approached the Supreme Court. “We have filed an affidavit in Supreme Court and we have in writing that the company had agreed to pay the compensation,” said a senior official from the Union health ministry. Johnson & Johnson has told the court that the determination of compensation is the exclusive domain of the judiciary, claiming that the government has “erred” in directing it to pay the penalty without holding any statutory authority. It further said that the compensation in cases of a product malfunction or fault is outside the scope and purview of an authority exercising function, which is the Union government. The company has suggested that it could be directed to pay under the consumer protection law. “Issues such as payment of compensation in cases of faulty products lie in the domain of consumer protection law,” its petition reads. In its petition, Johnson & Johnson has also questioned the legality of the two expert committees that the Union Ministry of Health and Family Welfare had formed to look into the issue. It has argued that the Indian government has wrongly bypassed legal procedure in forming the Agarwal committee, which investigated the harm done by the ASR hip implants, and the Arya Committee, which derived the quantum of compensation. The company has petitioned the court to quash the Agarwal Committee report, which said the company “suppressed” key facts on the harmful aftermath of surgeries conducted on 3,600 patients (earlier estimate) in India. Johnson & Johnson attacked the compensation formula, saying the Arya committee report was “tainted”. “The conclusions drawn by the Arya committee report are tainted and incorrect and liable to be rejected and the Arya committee report is liable to be set aside,” the petition reads. The Union Ministry of Health and Family welfare had formed the Agarwal Committee in February 2017. It was headed by Arun Agarwal, the former dean and professor of ENT at the Maulana Azad Medical College in New Delhi. After it submitted its report in February, the government had in August constituted the committee chaired by R.K. Arya, director of the sports injury centre at Safdarjung Hospital, to decide on the compensation for patients.